Le Lyrial, named after the Lyra star, is a fitting name for a vessel that is the brightest and newest in the PONANT fleet. Launched in May this year, this luxury mega yacht caters for just over 200 passengers and offers a cruise experience unlike any other. A combination of french elegance, chic styling and incredible attention to detail gives a welcoming and relaxed atmosphere the moment you board your cruise. 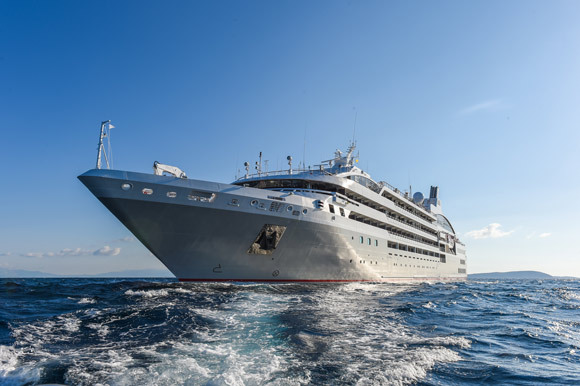 With over 25 years of experience in the luxury cruise industry, PONANT are leaders in creating exceptional yachting itineraries all over the world. 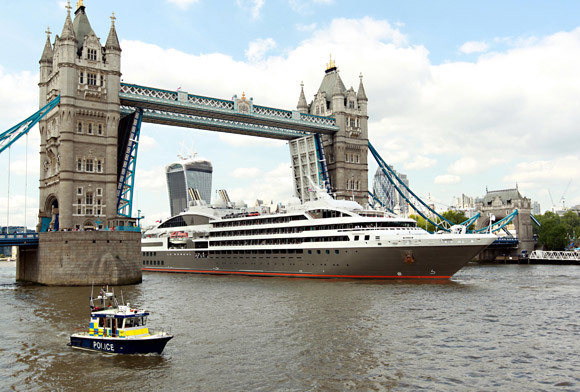 From the far reaches of Antarctica, to the sunnier climes of the Caribbean, from Europe's bejewelled cities of the Mediterranean to the exotic destinations of the Far East, PONANT have come to symbolise a growing trend for smaller, more personal experiences of cruising. Once aboard, there are no rigid timetables to be adhered to, no forced itineraries to be considered - just pure relaxation. The vessel gives a feeling of space and tranquility and has been cleverly designed with beautiful interiors. It is so quiet and stable that you barely realise you are sailing. 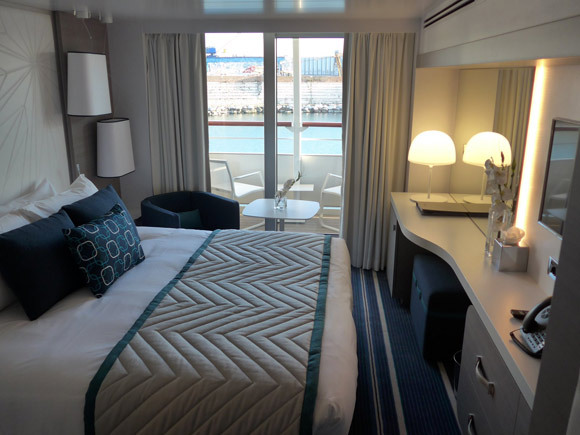 Every stateroom has been thoughtfully planned to ensure a very comfortable private space. All are outside facing and the majority have their own private balcony. 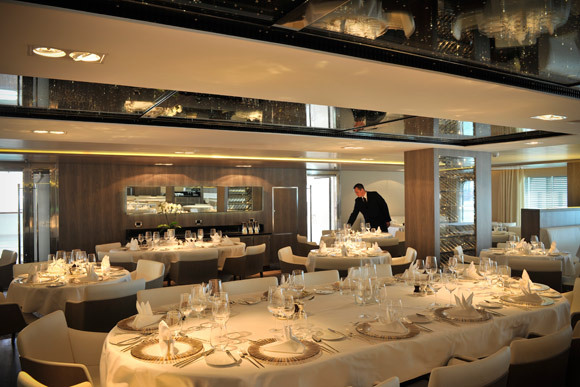 Dining on a PONANT Yacht cruise is an outstanding presentation of gourmet cuisine and coupled with impeccable service and unlimited complimentary drinks, PONANT are the choice for those seeking an alternative to the larger cruise ships. Whether you choose the heavenly gastronomic restaurant or the less formal Grill restaurant for your meals is entirely up to you! With complimentary fine wines, champagne and beverages included in your cruise price and offered throughout your sailing (even the mini bar is restocked every day! ), you are never left wanting! Onboard services include a first class Spa by leading French brand SOTHYS, a hammam, a fitness suite, swimming pool, hairdresser and beauticians, a luxury goods shop, library, state of the art theatre, photoshop, 2 restaurants, 3 bar areas, live entertainment and most interesting of all - an "Open Bridge" policy, whereby guests are able to visit the working area of the Captain and his Crew - offering a fascinating insight into how this modern vessel is operated. But more than just 'another cruise holiday', the sublime experience of PONANT will leave you wanting to travel with them time and again to see other stunning destinations around the globe from these wonderful vessels. 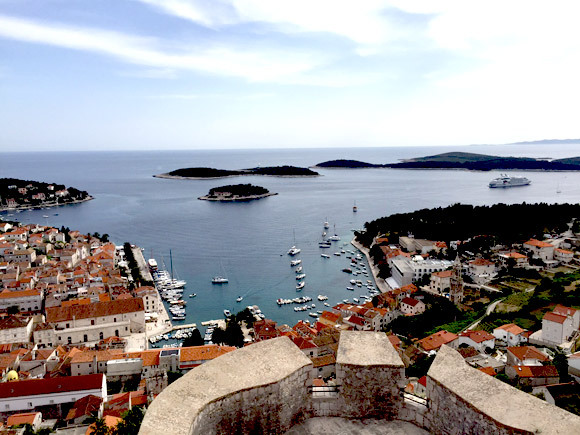 Amy Sharpe, eWaterways Marketing Manager travelled on board Le Lyrial from Venice to Hvar and Rovinj from the 16-19 May 2015. On the 1st May 2016 Le Lyrial's sistership, L'Austral, will be sailing from London on a 9 day cruise exploring England's South Coast before heading over to Ireland's West Coast and finishing in Dublin. This cruise itinerary is the first ever in this region for PONANT and is currently discounted by 30%. Prices start from just $2449 per person. * All prices are per person and based on 2 passengers sharing a twin cabin and excludes single travelers. Prices are correct at time of distribution and subject to change based on currency and fuel charges. 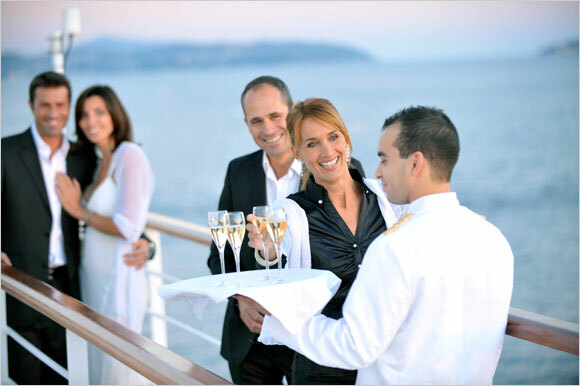 Promotions cannot be combined with any other promotions or offers on these cruises. Departure dates and cabins are limited and subject to availability and are reserved on a first come first service basis. eWaterways reserves the right to correct errors or omissions and to change any and all fares, fees and surcharges at any time. For up-to-date prices and discount terms, please contact eWaterways at 877-217-4083.